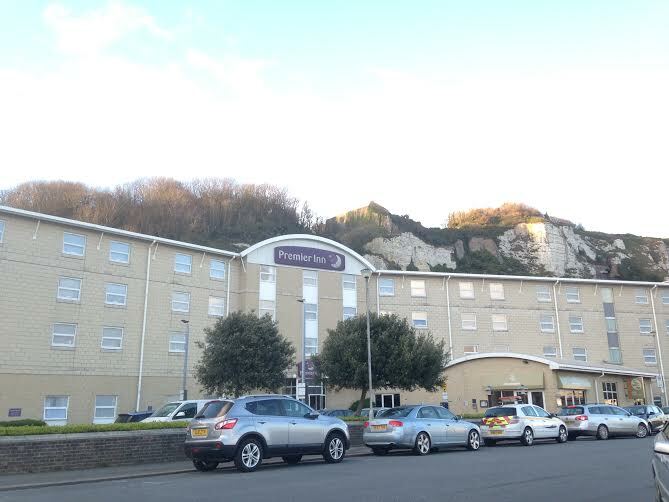 Older Single Mum: The Premier Inn, Dover. I am always a bit wary of travelling to a departure point of travel on the actual morning of leaving if there's an early start. It's one of the extra pressures of being a single parent that I could do without. I would be afraid of oversleeping and be too stressed to be able to settle, so I like to book accommodation the night before and be where we should be. The kids love it and probably stay awake much later than they would usually but, hey ho, the holiday starts earlier and we get an extra night away from home. In this instance, we needed to be in Dover, for my rather spontaenously booked short trip to France. We had to be at the port for 9am, which is a perfect time of day to set sail and we were booked into the Premier Inn. First off, it's easy to find. 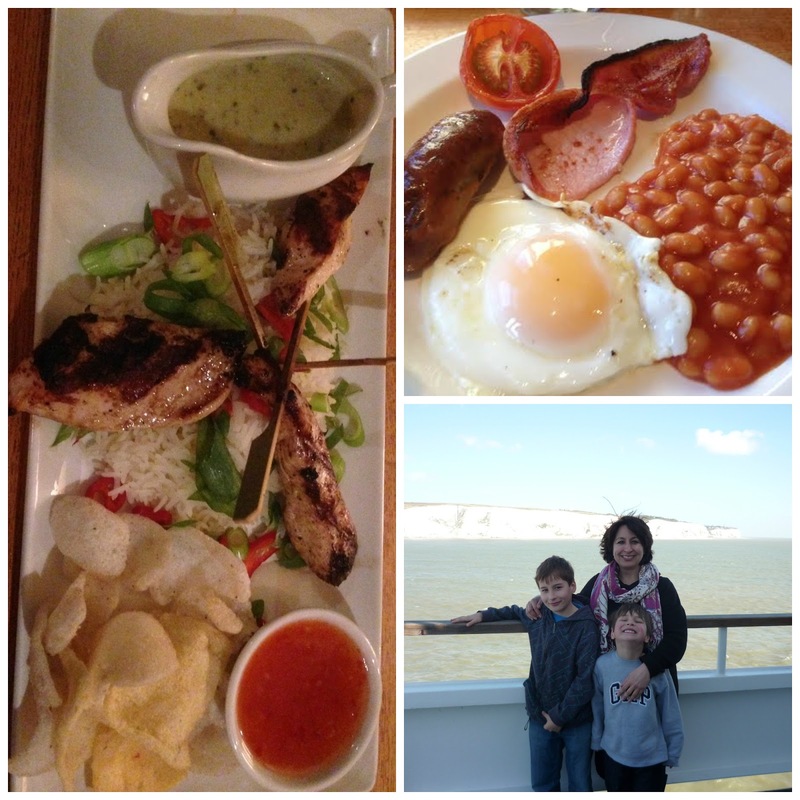 It's nestled right into the famous White Cliffs, bang on the seafront, a hop, skip and a jump from the ferry terminal. I was a bit worried about potential noise with it being so near the docks, but there was none. All the windows were double glazed and we all slept brilliantly, unlike a night we spent at Heathrow once (!) - which wasn't with this particular chain. 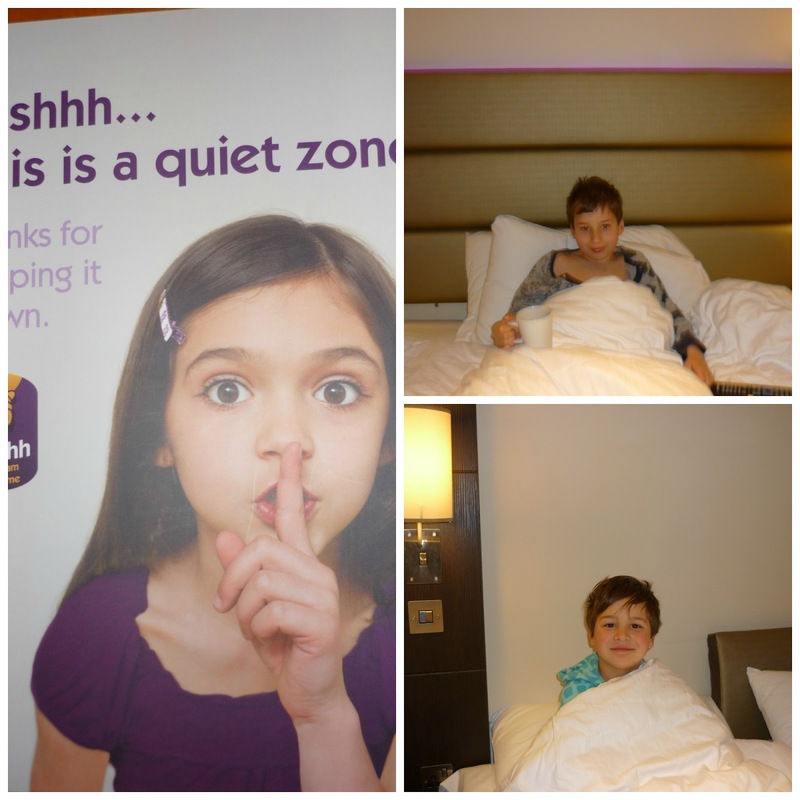 The Premier Inn guarantee a great night's sleep. Their bespoke beds, made famous by Lenny Henry in their TV ads, are so comfortable that they've had to arrange for the company that makes them to sell them the public and I can vouch for them being as deluxe as we have been led to believe. All rooms have king size ones and there were an extra two individual single beds set up for the children. Additionally, there is a choice of firm or soft pillows! We'd also been allocated a room in the special 'Quiet Zone' especially for families - so there was no door slamming (but they were all on soft close mechanisms regardless) or noisy passers by at unreasonable hours. It is not surprising that they have been voted Hotel Chain of the Year at the British Travel Awards and are also a Recommended Provider for UK Hotel Chains by Which? Overall, we were mightily impressed and another thing that contributed to the kids keeping asking to come back to it once we'd checked into our much smaller, humbler hotel in France, was the Table Table restaurant and bar in situ. I liked the cool layout - open with stylish wood and bright but calm terracotta colours plus, again, the reasonable prices. Children even eat free before 5pm Monday - Friday, although for kids up to age 12, their Junior menus are only £3.99 anyhow. For our evening meal, I ate a scrummy Thai Green Curry. It was presented differently to usual and could have done with some extra sauce, but it came with fresh chillies and spring onions on the rice which is an idea that I will now nick for home. There was a good choice - lots of healthy options all round - and, as you know, I have no qualms in saying when the food isn't up to standard. The boys enjoyed their spag bol and burger too and neither did the breakfasts disappoint, where, again, up to two children can eat free with one paying adult. There is quite a selection of prepared fresh fruit, pastries, breads (inlcuding crumpets) and cereals before choosing specifically what you'd like for a cooked one. Everything was decent quality and truly set us up for the day ahead. The next time we need a Hotel, we'd consider ourselves very fortunate indeed if it could be a Premier Inn. We were a bit sad to leave, but had a date with a boat and, before we knew it, we were off on the next leg of our (mad) mini adventure abroad! Disclosure - we were provided with overnight accommodation for the purposes of this review, but all words, pics and opinions and are my own, obvs. i did stay a couple of times in premier inn and it always was a nice place. so nice to hear your experience was good too. I stayed in a Premier Inn in Manchester and was really impressed with the standard of the rooms and the service from the staff. Yes - I did feel we had to do our bit and showing the LO the poster really helped! It sounds like great value for money.